Everything from ANTA is made in this country. The woolen yarn used for the carpets and tweeds is sourced in the Western Isles and is woven in the Borders. 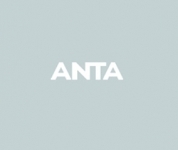 ANTA now 25 years in the same hands, is a partnership between designers Annie and Lachlan Stewart and the craftsmen and women with whom they work. 100% wool carpet 45 x 40cm approx Wool sourced from the British Isles. Made in Scotland. *please note pattern repeat may vary from picture.